That’s right! Everyone’s favorite milkshake joint finally opened its Oakland location right before spring break. If you haven’t stopped by yet, there’s no better way to start your first week back to the grind than with a Milkshake Factory shake! Haven’t been to the Milkshake Factory before? I’m here to give you the rundown of the sweetness that’s in store for you. You can choose from four categories of shakes: Classic, Signature, Gourmet or Dairy & Vegan. Whether you’re in the mood for a classic chocolate shake or something as exquisite as Bananas Foster, the Milkshake Factory has you covered. Gourmet shakes are even topped with their in-house made chocolates and truffles! Upon my first visit to the Oakland location, I ordered Jake’s Shake, named after Pittsburgh Penguins player, Jake Guentzel. 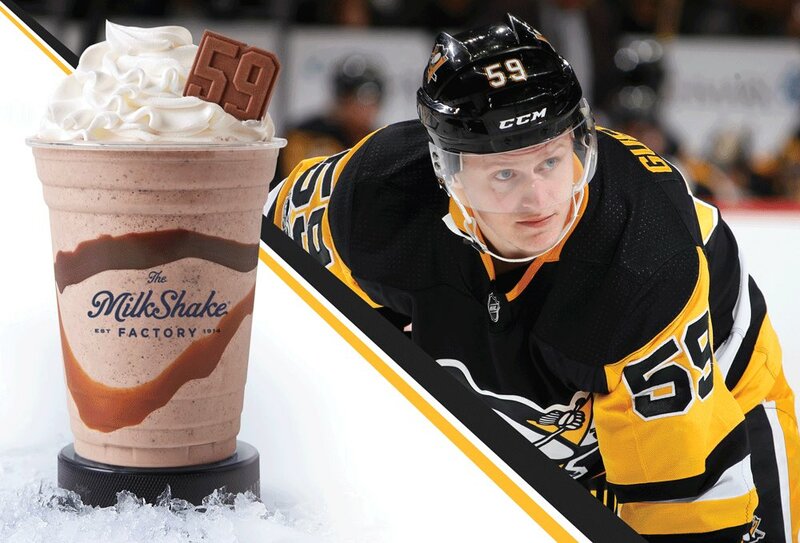 This shake is the perfect combination of chocolate, cookies and cream, brownies and hot fudge, plus when Jake scores, his shake is half off the next day! No matter the flavor you choose, all of their shakes are spun with fresh milk from Rivendale Farms, local to the Pittsburgh area. Not in the mood for a shake? They also make sundaes! Check out their website for more flavors. Still haven’t satisfied your sweet tooth? You can also find a vast variety of decadent chocolates, truffles and barks at The Chocolate Bar. Right now, they have a beautiful Easter chocolate display. If you’re dying for a chocolate bunny, skip the drugstore version and treat yourself to some rich, high-quality chocolate. The Oakland shop is located on Forbes Avenue next to Roots with hours 11 a.m. – 10 p.m. Sunday through Thursday and 11 a.m. – 11 p.m. on Friday and Saturday. The HC Pitt team loves the Milkshake Factory so much, we had a team bonding hangout there on the night of the grand opening and we’re looking forward to the next!